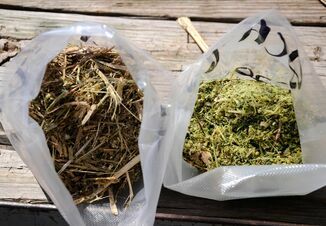 At least two cuttings of alfalfa are off most fields and quality appears to be about normal relative to prior year’s first cuttings for fiber digestibility, according to forage expert, Dr. John Goeser, Animal Nutrition and Research Innovation Director at Rock River Laboratory Inc. with agricultural testing facilities in Wisconsin, California, Ohio and New York and supporting services in Idaho and South Dakota. It’s a little too early to know how corn for silage will trend for quality, but crop progress across the Midwest looks positive to-date. The first crop is usually higher quality given it's grown in cooler, spring-like conditions as opposed to summer conditions where the heat units are higher, causing the plant to lignify and fiber digestibility to lessen. He also said the two crops had typical values in terms of relative feed value and protein to fiber ratios. In terms of growing conditions, alfalfa will be highly responsive to current weather events given that it's cut then regrows for 24 to 35 days then is cut again. “As I’m speaking now, corn plants are anywhere from ankle to knee-high in the northern part of the country, and the only areas I know that are chopping corn right now are in Florida and Arizona,” he notes. The weather conditions over the next three to four weeks will dictate how the corn crop will feed later in the fall. Harvest is expected to start in late August into early September in southern Illinois, Indiana and Ohio and proceed north mid to late September. From a nutritive standpoint whether for a feedyard or a dairy, there are two aspects to consider: how much nutrient is present (generally the fiber to starch ratio or grain to stover) and nutrient digestibility. With farmers preparing to harvest their corn for silage, interest in increasing processed corn silage theoretical length of cut (TLOC) from ¾ inch to over 1 inch inspired two recent research trials, says Dr. Randy Shaver, professor at University of Wisconsin. 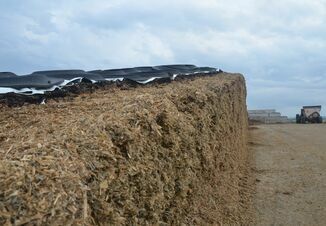 Farms feeding most of their forage as corn silage were the most interested in this practice. This raised the question of whether a longer corn chop is actually better for the cow? 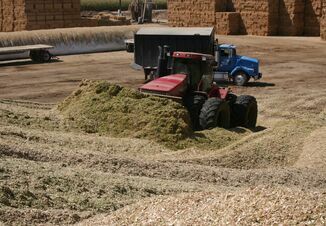 The key potential downsides of chopping at too great a TLOC are inadequate kernel processing, poor silo packing and added sorting at the feed bunk. For conventional-type processors, a ¾-inch TLOC is still recommended. For contemporary processors with greater roll speed differential up to 1-inch TLOC is possible if desired, but kernel processing should be monitored closely. Photos courtesy of Rock River Laboratory Inc.